The SADC Council of Ministers set for Gaborone, Botswana will deliberate on a wide range of issues including the approval of the budget for implementation of the region’s operational plans. 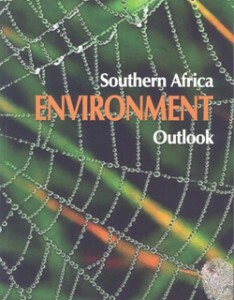 Southern Africa has identified priority areas for implementation during the year. These include the implementation of key milestones on industrialization, trade, infrastructure development, as well as peace and security. According to a draft agenda, the council on 14-15 March will consider and approve the budget for the 2016/2017 financial year and review progress made in implementation of the previous budget plan. The budget for 2015-2016 was US$79.4 million. It is estimated that more than 70 percent of the SADC budget comes from International Cooperating Partners — a situation which compromises the ownership and sustainability of regional programmes. 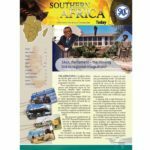 The 35th SADC Summit held in August 2015 in Botswana agreed that the region should develop alternative modalities that ensure financial independence and self-sufficiency. 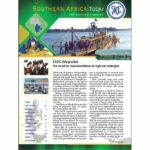 SADC Member States were urged to continue making timely remittance of their annual contribution to the SADC Secretariat. In this regard, the 2016/2017 SADC budget is expected to consider alternative financing modalities that will allow the region to take full control of its development plan. Another key issue for discussion is the finalization of an action plan of the recently adopted SADC Industrialization Strategy and Roadmap 2015-2063, as well as implementation of Phase 1 of the strategy, which covers the period 2015-2020. The strategy that is being implemented in three phases aims to promote industrialization by ensuring that member states harness the full potential of their vast and diverse natural resources. 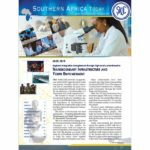 Under Phase 1 (2015-2020), SADC strives to progress from being factor-driven to being investment-driven. The second phase, which runs from 2021-2050 will see the region advance to being an innovation-driven economy. The target for the last phase (2051-2063) is to achieve high levels of economic growth, competitiveness, incomes and employment. Significant progress has been made in implementing the strategy since its adoption in April 2015, with the process to align all regional activities, programmes and projects to the strategy now at an advanced stage. Related to this, the council will review the implementation of priorities outlined in the Revised Regional Indicative Strategic Development Plan(RISDP) 2015-2020 adopted in April 2015. The Revised RISDP is a blueprint for regional integration and development, and the document realigns the region’s development agenda with new realities and emerging global dynamics, and takes into account the issues of industrialization. The Revised RISDP identifies four main priorities to be pursued by the region from 2015-2020. Agriculture and food security remains a top priority for the council following low rainfall and drought conditions.To address the situation, countries in the region have already started importing food. Another important issue for discussion is the implementation of regional economic reforms, plans and strategies to promote sustainable and economic transformation in the region. These strategies include consolidation of the SADC Free Trade Area (FTA) launched in 2008. Others are the pending Grand FTA involving the Common Market for Eastern and Southern Africa, East African Community and SADC. Creation of such markets promote the smooth movement of goods, services and people across the region, thereby boosting intra-regional trade and deepening integration through improved infrastructure development, investment flows and enhanced competition. The SADC Council of Ministers, which traditionally meets annually to review implementation of regional decisions and approve the SADC budget will be preceded by various technical and senior officials meetings from 5-13 March.